HEALTH: Concerns for health in the Labrador Retriever can be eyes, hips & elbows and occasionally heart problems. All of which the parents should have documented clearances. PROPER SOCIALIZATION : We consistently hear how smart our puppies are, how they love to retrieve, and have their parents warm personality. We feel a good part of this is due to the environment we provide for them in early life. Interacting and and socializing with our puppies starting at a young age is important to us. Research has repeatedly shown the importance of proper socialization at a young age as it encourages a strong human bond. When a strong human bond is established at a young age, the pup will tend to be more responsive and wanting to work/obey his owner as an adult. An under-socialized pup tends to listen because it has to, not because it wants to. This negative attitude can show in the way the dog presents itself when called. In example, showing a dumpy, somewhat slunken appearance instead of head held high with a positive glad-to-do-as-you-ask expression. ADDITIONAL SOCIALIZATION PROGRAM: Starting at five weeks of age, we put Individual Identification Collars on each puppy. On a routine basis, we evaluate and document each puppies unique personality until your puppy goes home with you. When it is time for you to take your puppy home, we share this information with you as a tool for you to select a puppy whose personality will best fit your lifestyle. Observing and recording requires a lot of time, but we have found this to be well worth our investment and a highly successful part of our program. HEALTH GUARANTEE: All our pups will have had their dew claws removed at 48 hours of age, been de-wormed, microchipped and had their first puppy immunizations. They come with a 26-Month Health Guarantee , which includes hips, elbows and eyes along with a complete set of health records, and of course, the litters are all AKC Registered . WHICH DOG’S PUPPY WILL BEST FIT YOUR LIFESTYLE: Read the information beside the pictures of our dogs. Ideally you will find both the personality and color you prefer. If not, we strongly encourage you to give personality a much higher rank than color. QUESTIONS - COME VISIT US: We probably left you with more questions now than when you first started reading this. If it is feasible, we would like for you to come and visit, meet our dogs and interact with them. You and your family can see their personalities and the home they live in. 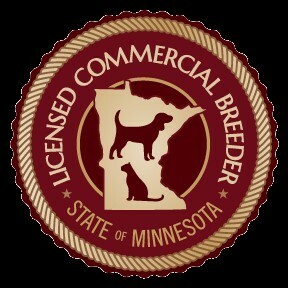 Feel free to give us a call and we will be happy to try to answer any dog-related questions you may have. We are available most week days and Saturdays...call or email a couple times you'd like to visit and we'll set up an appointment. We feel we have quality lab puppies for sale. Socialization, Philosophy, Health, Labrador Retriever, Eyes, Hips, Elbows, heart, Neurological stimulation, Health Guarantee, AKC Registered, Visit, Whispering Pines.